While most people only ever think about the ways food affects weight, there’s so much more to it. 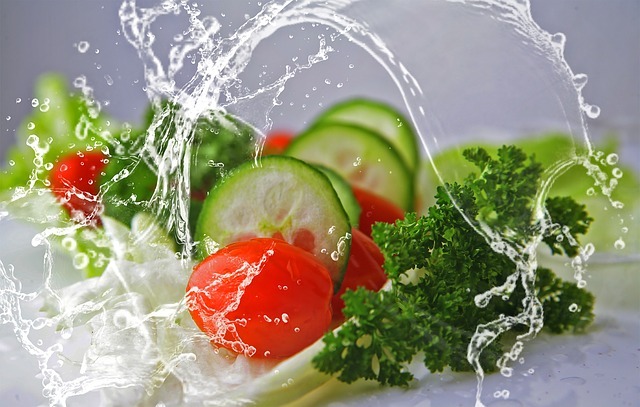 From your bloodstream, to your breathing and, yes, even hair, there are many reasons why you should improve your diet. Naturally, we’ll only be focusing on the last part, since the best vitamins for hair growth and thickness are specific, not all of them can help you. What are the Best Vitamins for Hair Growth and Thickness? Before we go into all the food items we have prepared, it’s best to first go over which vitamins you should be keeping an eye on. Vitamin A not only helps with cell regeneration, it also has a crucial role in producing the grease that covers our hair. The vitamin B complex is usually used for muscle gains, but it works just as well with hair. You want to look out primarily for biotin and niacin. Folic acid is another valuable regeneration tool for our body. In this case, it’s responsible for enhancing our cellular functions, helping them make fuller hair in turn. While technically not vitamins, minerals are just as important for maintaining a healthy look. Zinc is probably the most important of the bunch, since it has an important role in balancing our hormones. We’ll end on another non-vitamin entry – but one that’s arguably even more important than the rest. We’re, of course, talking about the famous catalase enzyme. This enzyme is responsible for cleaning our body of free radicals; in short, they help our body with anti-oxidation. The reason why this is so important is that extra oxygen makes a dangerous compound, called hydrogen peroxide. This substance is very harmful to us, so being able to prevent that from happening already makes catalase one of the best hair supplements you could find. This enzyme also supports reversal of gray hair. Which Food Should you Look out for? The first thing on your list should be fish and seafood. Specifically, oysters and salmon. Both of these are very rich in vitamin B, zinc and omega 3 fatty acids, which is a very important protein. Eggs and cheese are also very rich in protein and vitamin B. Vegetables like carrots, avocados and sweet potatoes hold most of the best vitamins for hair growth and thickness, some of which we didn’t even mention in our list. However, none of these contain the catalase enzyme. That one’s a bit harder to obtain, but you can usually find it in supplements for thicker hair. To give your hair all the beneficial ingredients, we recommend CatalaseNow, also known as GetAwayGrey. Its results should be visible in 8-12 weeks. Take advantage of this risk-free offer to start giving your hair the care it deserves.